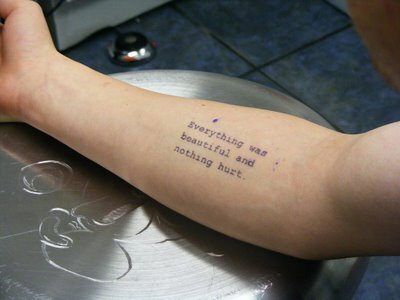 Everything was beautiful and nothing hurt! Slaughterhouse Five, Kurt Vonnegut. 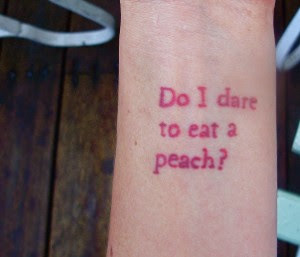 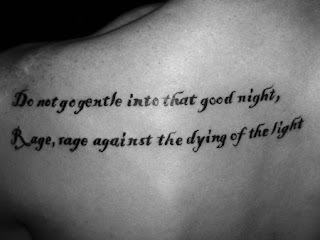 T. S. Eliot’s “The Love Song of J. Alfred Prufrock“, ‘do I dare to eat a peach?’. 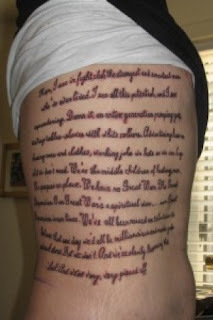 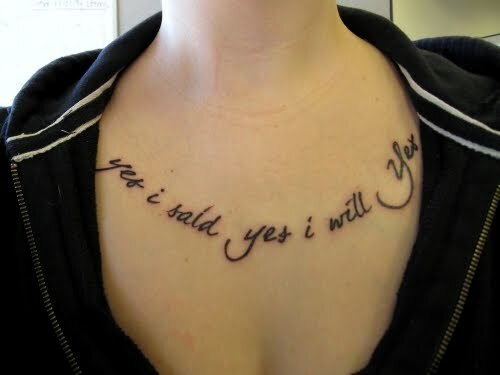 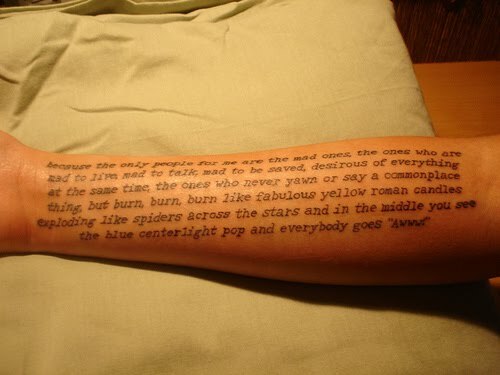 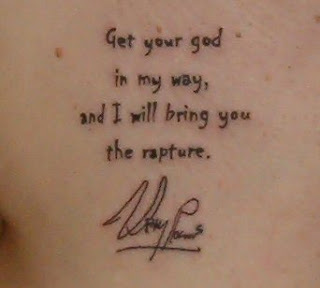 In tattoo "Every Saint Has A Past" "Every Sinner Has A Future" waht font do you use?